“I want to adjust a bunch of pictures by increasing their ISO by a stop”. Is that something you often want to do? Ah. But now they are all set to exactly +1 stop – not “whatever they were plus 1 stop”. And that, depending on how you got here, could be a problem. If you have previously adjusted some individually, you will lose those individual tweaks. Do it in the LIBRARY module. Mark them all and in “Tone Control”, adjust the exposure (or clarity, or vibrance) to the relative amount you would like to add. It will be added to the prior value, instead of replacing it. That’s it. Just one of those little nice-to-knows! As you all know, Apple Aperture is end-of-life. And with that, end-of-competition: Lightroom is the only game in town. And with that, Adobe is flexing its muscle; it is trying to get everyone to use their “Cloud” subscription model. That way, they get a fee (like $9.99) every month, instead of one payment of $150 for Lightroom forever. Clearly, they are interested in this. Clearly, I am not interested. First, I would pay much more (In five years I’d pay $600, as opposed to $150 for the app, and even with upgrades perhaps double that over that period). The price is $9.99 per product per month, I think. But that is today’s price… subject to change. Third, I want nothing to do with a product that has to go online occasionally to check if I am allowed to use it. No way. What if I lose my password? What if their authentication system fails? What if my Internet connectivity fails, e.g. because I am travelling? No, that just will not do. This is company critical: I need an app that is mine to run without authentication, permission, whatever. For as long as possible, I shall go on using Lightroom as a normal license rather than a monthly subscription, and you all may want to do the same. You may have read that Adobe products are now available as part of the “Creative Cloud”. That mainly means a rental price instead of a “buy once” (really, “license once”) model. Under this model, instead of paying $1,000 for Photoshop, you pay $50 per month. The software still resides on your computer, but it is updated regularly, and the computer checks regularly via the Internet to ensure you have been paying. Adobe is forcing this change on their clients. 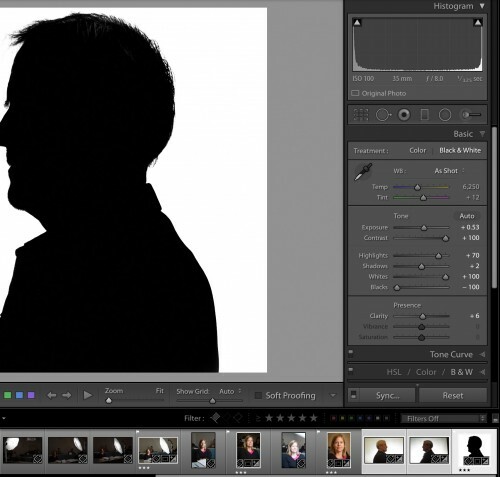 Photoshop is no longer available as a stand-alone app (mercifully, Lightroom still is – but for how long?). Adobe has a virtual monopoly, and monopolists should be held against a higher standard than smaller players. Adobe says “jump!”, we say “how high?”. We have no choice. For most, this will be a price hike. The $50 is an annual commitment (so the minimum is $600!) and it recurs month after month after month – forever. I still use Photoshop CS3 when I use photoshop, which is not often: I do 99% of my work in Lightroom. I do not need most apps. I have the feeling that when I buy an app, I buy that app, not the right to use it. I know, I know, it is licensing, but is sure feels like buying. Having to get permission to run my app. What if something goes wrong? or I am not online that once a month (e.g. I am traveling)? Software is mission critical to a photographer. Oh, nothing ever goes wrong? The other day, Facebook would not let me log in, giving me an “incorrect password” error. It was a facebook problem, and there is nothing I was able to do. The day after that, Netflix was down. Again, nothing I could do. Later that week, Tumblr was down for hours. And Adobe will somehow never malfunction? And I will always be online where Adobe can get through (e.g. in hotels, only browsing is allowed). Of course, CC has already been pirated, so it will make little difference in practice. I do wish that the customer’s interest was paramount, though, not the need for corporations like Adobe to squeeze every penny out of that customer. I am glad Lightroom is still a paid app, and I hope it stays that way for a while. 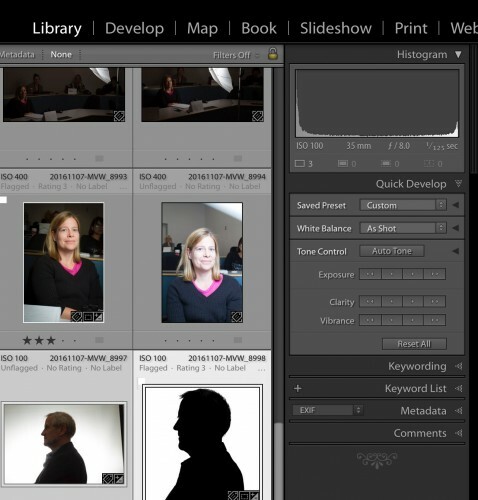 Adobe Lightroom has taken over most photographers’ post-production work. Myself included. Although Lightroom, an application for managing and editing and post-producing your images, takes a few days to learn, this is time well spent. Your post-production time (the time spent on your pictures after you get home) will be cut in half – or better. I recommend it. When I teach Lightroom, people often ask me “how do you set it up?” – especially with regard to backups. Safety is everything. So I thought that I might share my suggested file locations and backup methods with you here. Here’s how I do it. Catalog: The main Lightroom Catalog (which I renamed to something including my name, i.e. MVWPhoto.lrcat) lives on my main computer (in my case, a Mac). That’s standard. Photos: The actual images (raw) live on an external USB drive, in a folder called “PHOTOGRAPHY” (and within that, per year and then per date). New images go there too. That’s better than on my Mac. Catalog backups: I make a copy of the catalog every day (you can set up Lightroom that way, in Preferences). That copy also goes to the external drive (in a folder called “LR backups”). Photo backup: The external drive gets backed up to another external drive.I do this manually every day, or after every import. If you don’t know how to create or run a command line script, just get a computer person to help you with it. It’s that simple!